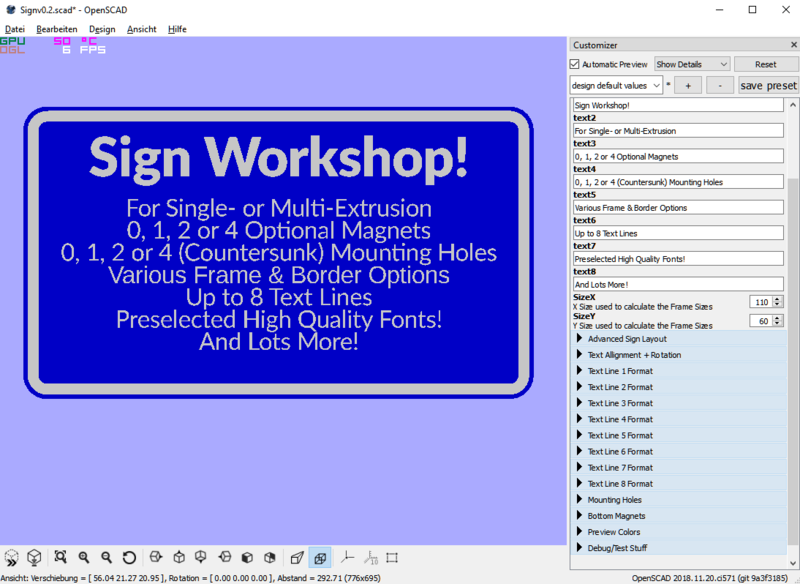 Customizable Sign Workshop (MMU,Multicolor or Single color printer) by rainers is licensed under the Creative Commons - Attribution - Non-Commercial - No Derivatives license. 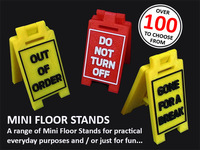 You can use this customizable thing to create a huge Variety of Signs. 0,1,2 or 4 Screw Holes which can be optionally be created countersunk. Often it barely usable, especially in "peak hours"
If you want to use it locally on your PC you can download the .scad file and use the "customizer" in openscad. This will require the latest "unstable" build of openscad for your operating systems. you might have to reload the scad file in order to see the parameters. have fun and remember to leave a like and to share your makes! In case you are using the scad file on your local PC you can install the Google WebFonts to your openscad\fonts folder to have the full list of fonts available. i ended up having e.g. a folder C:\Program Files\OpenSCAD\fonts\exo containing the .ttf files needed. Say thanks by giving rainers a tip and help them continue to share amazing Things with the Thingiverse community. 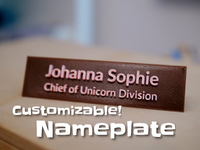 Say thanks and help rainers continue to share amazing Things with the Thingiverse community. You'll need a PayPal account to tip rainers. Click the button below and you will be redirected to PayPal. Once the payment is complete, you'll be brought back to Thingiverse.